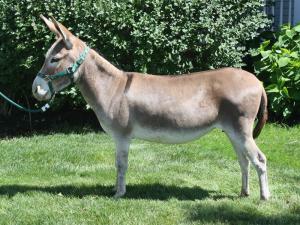 Description: We were lucky to be able to purchase Amber and have her back in our herd. She has matured into a really nice jennet. We love her dark red color, nice, round rear end, straight legs. 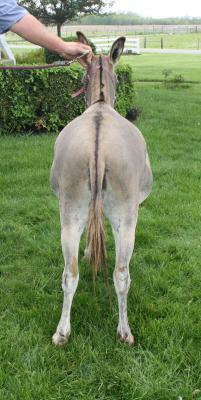 She is the kind of donkey we are striving for, and we know she will give us some excellent foals. Update: Amber was named the 2017 National Champion Jennet at The Great Celebration in Shelbyville, Tennessee. She was first in a class of 15 and then beat the 3 and 4 year old winner of 9 jennets. This was her first time to be shown in 6 years. 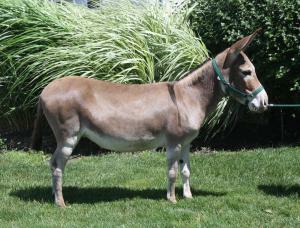 Amber has been purchased by Dave and Gail Gordon of Fruithurst, Alabama, at the North East Select Miniature Donkey Sale. 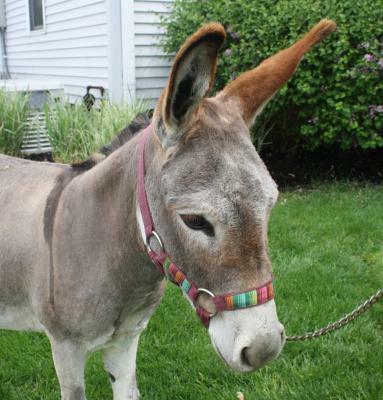 Thank you, Dave and Gail for your purchase, and your introduction to the miniature donkey world.